Joshua Swamidass, Richard Lenski, and Nathan Lents have published a review in the journal Science critiquing biochemist Michael Behe’s forthcoming book Darwin Devolves. I found their review utterly convincing — although probably not in the way they might hope. Some background: When I became involved in the intelligent design (ID) movement more than two decades ago, a key reason was because I was intrigued by the scientists who thought they were finding discernible evidence throughout nature of intelligent design. I didn’t know whether these scientists were correct. But I definitely wanted them to have the freedom to articulate their views in the public square without retribution. And I wanted to see how the debate played out. In the ensuing years, I learned a lot more about the scientific arguments for and against intelligent design, leading me to conclude that the arguments for ID are pretty strong. I came to this conclusion partly because of my interactions with the leading proponents of intelligent design. But there was another reason: What I discovered reading and interacting with ID’s critics. I’m grateful to scientists like Richard Dawkins, Eugenie Scott, Ken Miller, Francis Collins, Karl Giberson, and a host of others who have critiqued and denounced ID over the years. I’m grateful to them for showing me just how convincing the case for ID really is. Reading their writings, I came across nearly endless examples of question begging, ad hominem attacks, and hand-waving. What I didn’t find were serious refutations. In my experience, the critiques offered of ID were so uniformly bad that it began to dawn on me that the scientists who supported ID must be right. If even ID’s harshest critics couldn’t come up with serious criticisms, I concluded that the case made by Behe, Dembski, Meyer, et al. must be sound after all. Which brings me to this new review by Swamidass, Lenski, and Lents of Mike Behe’s upcoming book. On the other hand, despite the review’s focus on science, it contains much of the same hand-waving that I’ve seen in other critiques of ID. I started out by saying I found the review utterly convincing. I did. I was convinced after reading it that Behe must be onto something in his new book, even though I haven’t had the opportunity to read it yet. If this is all Behe’s critics can muster when given a platform at one of the world’s top science journals, Behe’s arguments must be powerful indeed. I will leave it to Behe and others to give a detailed rejoinder to the various claims in the review. But as a layperson, I want to drive home one particular point: Much of the review is based on a falsehood, and it’s a whopper. The main thrust of the review appears to be a claim that Behe ignores or hasn’t responded to contrary evidence raised by his scientific critics. The title of the review makes this point (“A biochemist’s crusade…ignores evidence”), and so does the review’s actual text. “Behe…ignores the fact that some of his prior arguments have been dismantled,” the authors assert, followed by the citation of numerous supposed examples. Perhaps Swamidass and company didn’t find Behe’s responses to Miller convincing. But to fail to acknowledge that he has actually responded to Miller borders on academic fraud. I will give the authors here the benefit of the doubt. Perhaps Swamidass and company didn’t bother to look at the book they cited to claim that Behe ignores Miller’s critique. In that case, their falsehood wouldn’t be intentional. It would just be sloppy and unprofessional. Either way, their failure to acknowledge that Behe has responded to Miller doesn’t reflect well on them. But here again, Behe has responded extensively to Durrett and Schmidt. He even demonstrated that Durrett and Schmidt made a calculation error, which “introduce[d] a 30-fold underestimate of the waiting time” in their estimate, an error Durrett and Schmidt later conceded. Again, perhaps Swamidass and his co-authors aren’t convinced by Behe’s responses to Durrett and Schmidt. But remember that the larger point Swamidass and company are trying to make is that these are examples where Behe has ignored evidence that goes against his views. To fail to acknowledge that Behe has in fact responded on these points is indefensible. Perhaps Swamidass and his co-authors will respond that Behe didn’t include these responses in his new book. I don’t know whether that’s true or not since I haven’t had a chance to read Behe’s forthcoming book. But the tenor of Swamidass and company’s claim is that Behe doesn’t respond to contrary evidence. They don’t say, “Behe has responded to this evidence, but we fault him because he didn’t reprint his responses yet again in this new book” — likely because they know that such an admission would make their overall claim look silly. If Behe didn’t rehash things he had already addressed elsewhere extensively, perhaps it was because this was a new book and he saw no reason to rehash what he’s already responded to before. If scientists like Swamidass, Lenski, and Lents want to continue to offer these faux critiques of Behe, that is certainly their right. But they are damaging their own credibility, not Behe’s. Such critiques will no doubt continue to convince true believers like atheist Darwinist Jerry Coyne. But they won’t impress scientists who are open-minded enough to read Behe or other ID proponents for themselves. How do I know this? Because I’ve met such scientists. 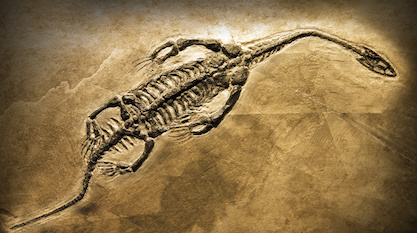 Scientists like German paleontologist Günter Bechly, who thought intelligent design was bosh… until he actually read Behe and discovered that the caricature of intelligent design he had been offered wasn’t true. So a big shout out to the three authors of this review: Thank you for convincing me (again) that Behe must know what he’s talking about. And thank you for making me look forward to reading Behe’s new book when it actually comes out. For open-minded readers of this article, will you join me in reading Behe’s new book? If so, click here for a special pre-order offer just for you if you order Behe’s book before it comes out on February 26. Photo: Joshua Swamidass, by J. Nathan Matias, via Flickr (cropped).